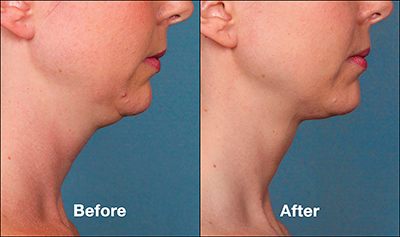 Now there is a treatment for your double chin! The FDA has approved KYBELLA™ (deoxycholic acid) injection, which contours and improves the appearance of moderate to severe submental fullness due to submental fat. 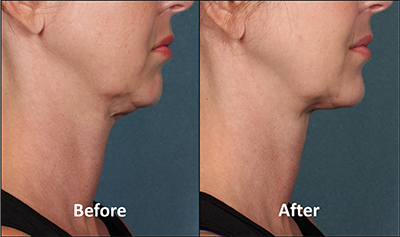 Submental fullness, also known as “double chin,” can affect adult women and men of all ages and weights, and is influenced by multiple factors, including aging and genetics. Submental fullness is often resistant to diet and exercise, and according to a 2014 survey conducted by the American Society for Dermatologic Surgery, 68 percent of people said they are bothered by their double chin.